For high quality garage door repair services that you can trust to get the job done right the first time around, give us a call. Our friendly team are expertly trained and ready to help. Is your garage entryway damaged, broken or worn down? Never fear, our team is here. 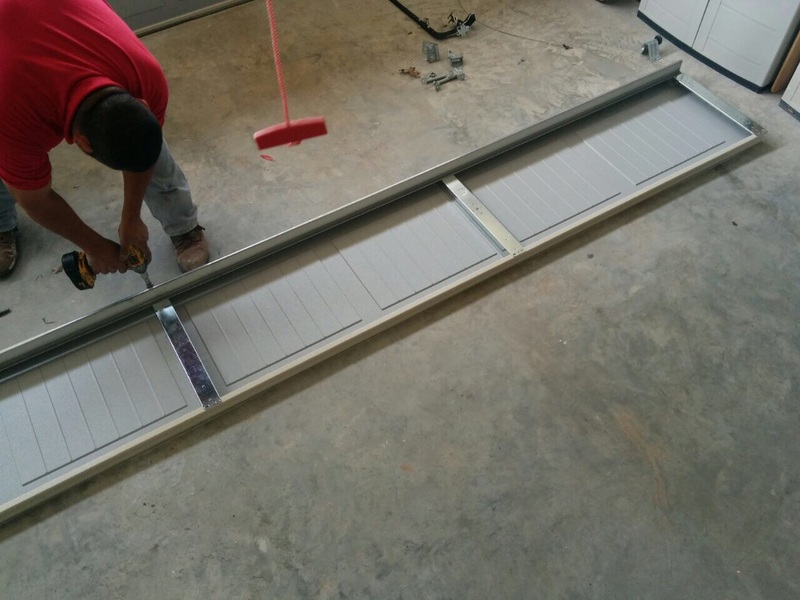 We’re experts in everything related to garage doors and have repaired dozens for happy clients. We know that your door working is important to the convenient usage of your home and our repair work will be done quickly and well. You can trust our skilled service men to fully identify the problem as well as what caused it and to remedy both for you. Many times our call-outs for repair work involve opener repairs as these are some of the most used parts of a doorway system. Often, it is door misalignment that may have been putting extra stress on your openers, or they have simply worn out over time. It’s far simpler to get a repair job than a replacement job, and it works just as well at extending the useful life of your door. We fix openers as a priority because these are crucial to the function of your door. Another common part of our repair services is panel repair work. This type of work is usually a result of direct damage to a door instead of wear and tear. We find kids playing ball in the driveway to be a big cause of panel damage. Fortunately, our team is well equipped to repair a variety of panels including steel and glass ones. We can have your door back up in no time. The idea is to repair your door so that it looks like it was never damaged in the first place. With a keen eye for detail and years of experience in the industry, our team can get any part of your door (or the entire thing) back in working order. We’re proud of the services we perform and treat each client case with a high level of professionalism and care. To find out more, give us a call today.